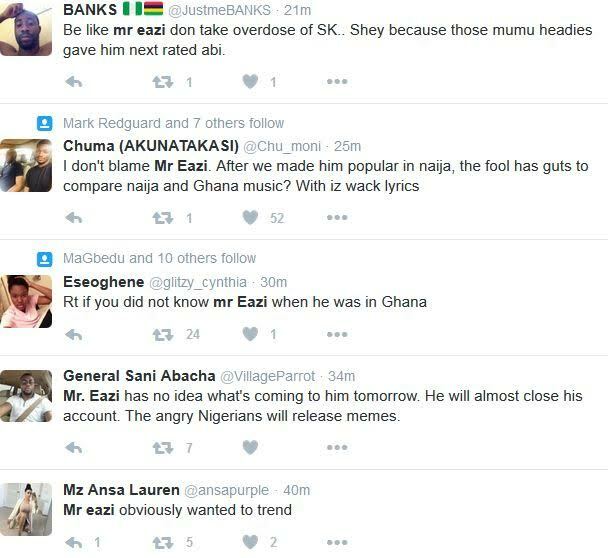 Nigerian artiste who plys his trade in Ghana, Mr Eazi is currently under some scathing attacks for some comments he made on twitter yesterday. The artiste who’s signed to Wizkid’s record label came under fire after his statement about the influence of Ghanaian music on Nigerian music. 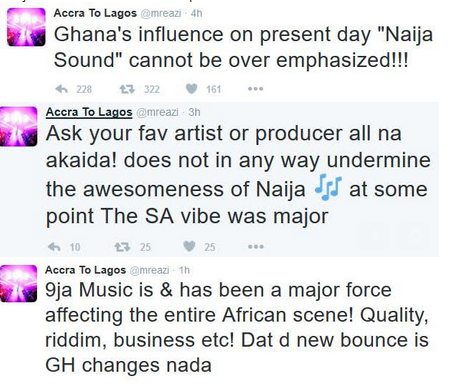 Ghana’s influence on present day “Naija Sound” cannot be over emphasized!!! Nigerians didn’t take this statement likely at all, as twitrter exploded on him. There has always been some sort of competition between Nigerians and their Ghanaian counterparts that is most evident in the #Jollofwars and English accent debates. 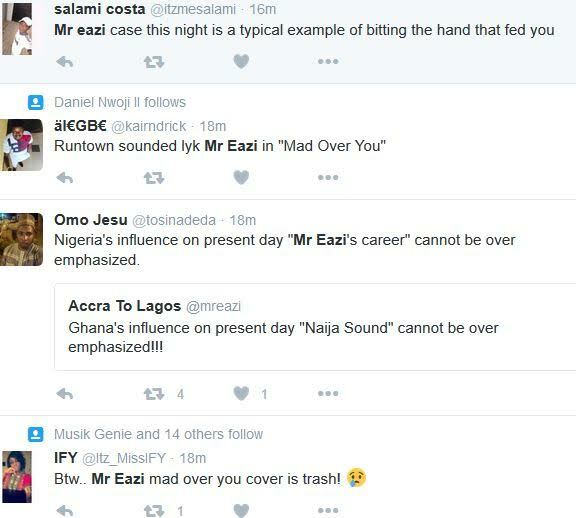 Twitter explodes, feeling betrayed by the singer, for having the opinion that the statement was undermining Nigerian music creatives. Ghanaian Hip-Hop/Afro-Pop artiste Ko-Jo Cue sees otherwise however, says both Ghanaians and Nigerians should be happy they are complementing each other musically. 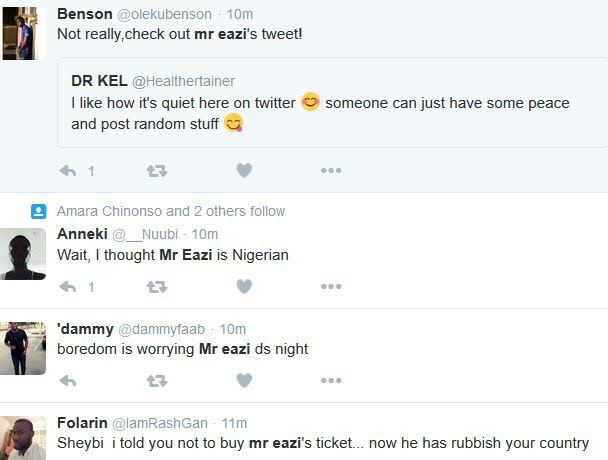 @mreazi getting lynched for stating a fact. 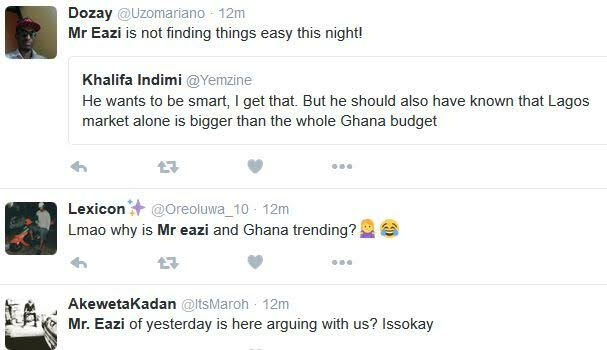 Where is the Ghana-Naija tension from? Shouldn’t it be an honour that we influence each other? I mean Fela never hid the Ghanaian influence in his music (Fefe na Fe) … And Ghanaian movies & weddings have huge Naija influences too. Mr Eazi was not wrong. 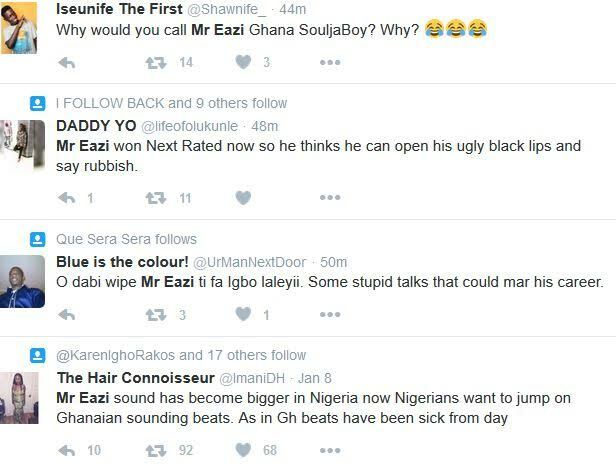 Ghana has influence on Naija music, but he was insensitive and misguided in saying it, knowing the rivalry. It almost feels like a betrayal from someone we have wholeheartedly embraced and loved. He stabbed us in the back with that comment. 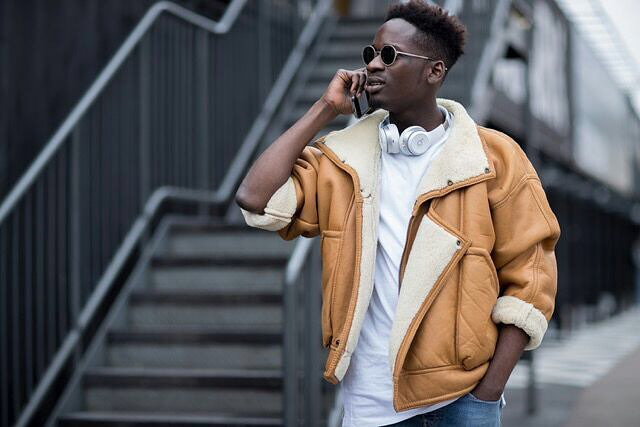 Mr Eazi made his breakthrough into the Nigerian music scene in 2016 with the song ‘Skin tight’ and continued to woo Nigerian music lovers with wavy songs back to back, many of which were as a result of the stellar production of Ghanaian DJ/producer Juls. Here are fans twitter reactions to his comments ….